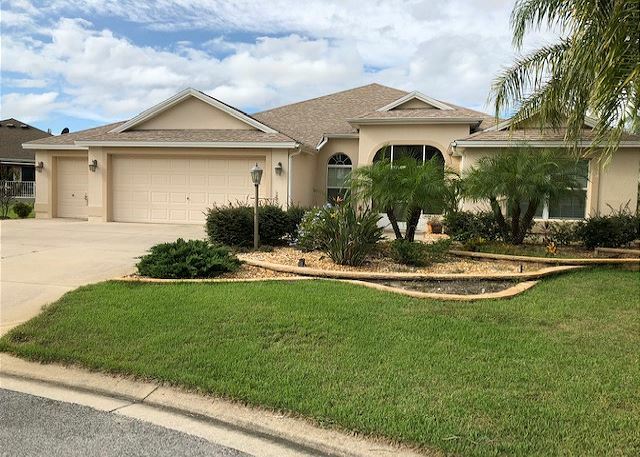 The Villages, Florida United States - POOL HOME WITH GOLF CART GAS GRILL IN THE VILLAGES FLORIDA CENTRAL FLA | RE/MAX PREMIER REALTY Inc. Awesome designer home on Cul De Sac with Pool get to Lake Sumter or Brownwood in no time, great location! This home is in the village of Hemingway. Golf courses all around you. This is a lovely three bedroom two bath home with a large birdcage and pool, gas grill. Has a cart for your pleasure. Third bedroom is set up as an office with pull out sofa which is queen size. Flat screen TV in the living area, large open kitchen and eat in space, large dining room that seats four. Open floor plan. Washer dryer in utility room. Plenty of room for entertaining and cooking. TV in the kitchen, master and living area. TV in the office is not connected to cable. You do have WIFI at the home. NON SMOKING HOME. NOTE: mail cannot be received at this address; to make other arrangements please contact us.